All digital marketing communities are preparing for Google’s major mobile algorithm update, which is scheduled for April 21. 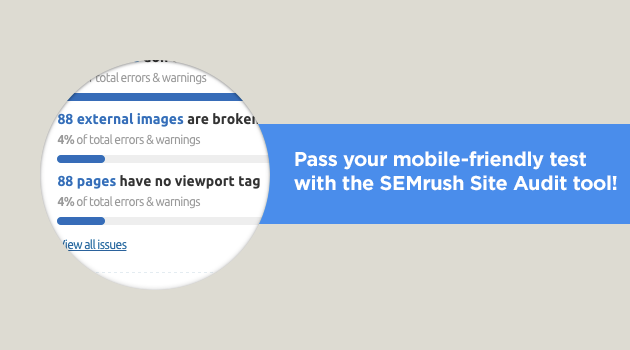 SEMrush will help your website become mobile-friendly! Setting up a mobile viewport is a must for mobile-friendliness. If you receive the error “This page has no viewport tag,” (3) you will need to set the viewport for each page with this issue. 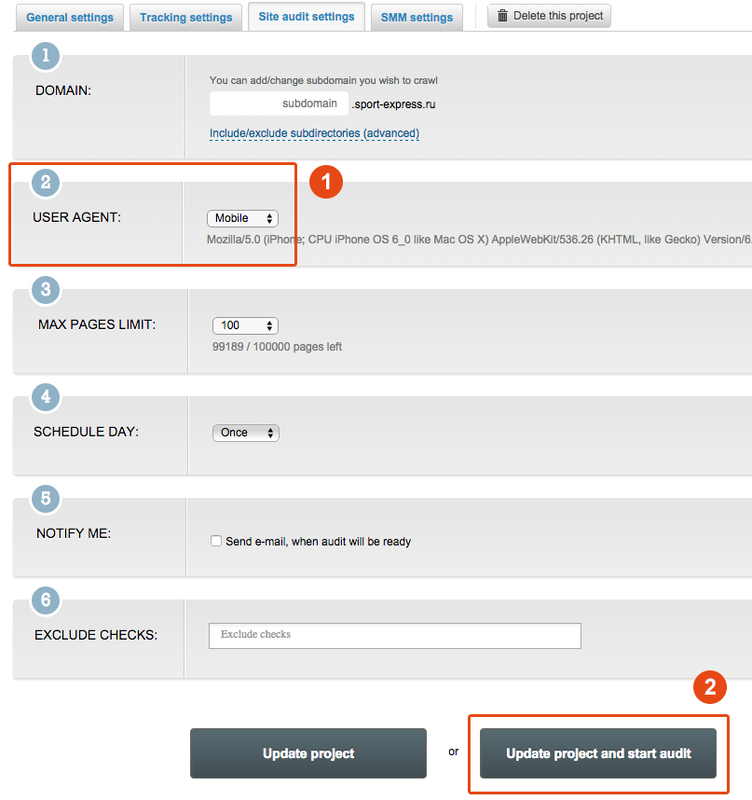 Click the number of issues found to view all affected pages (4). To fix this problem, you will need to place the view meta tag in the head element of each page. Once this is done, you’ll be able to set browser instructions on how to display your website on mobile devices. Check your website now! Mobile-geddon is coming!